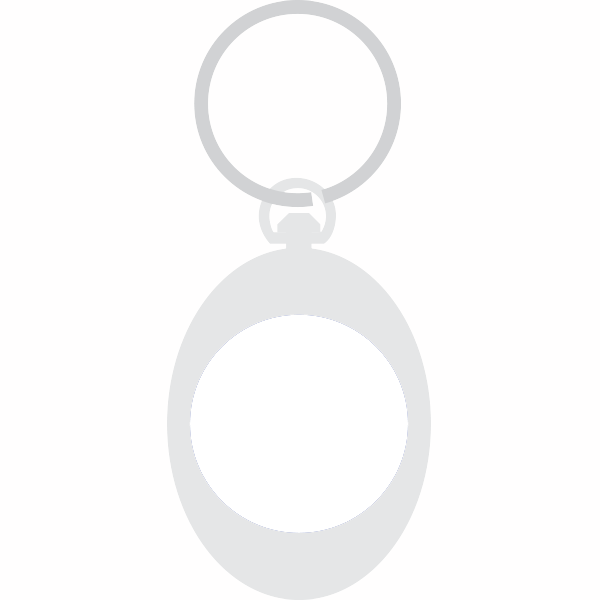 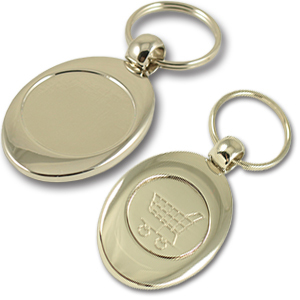 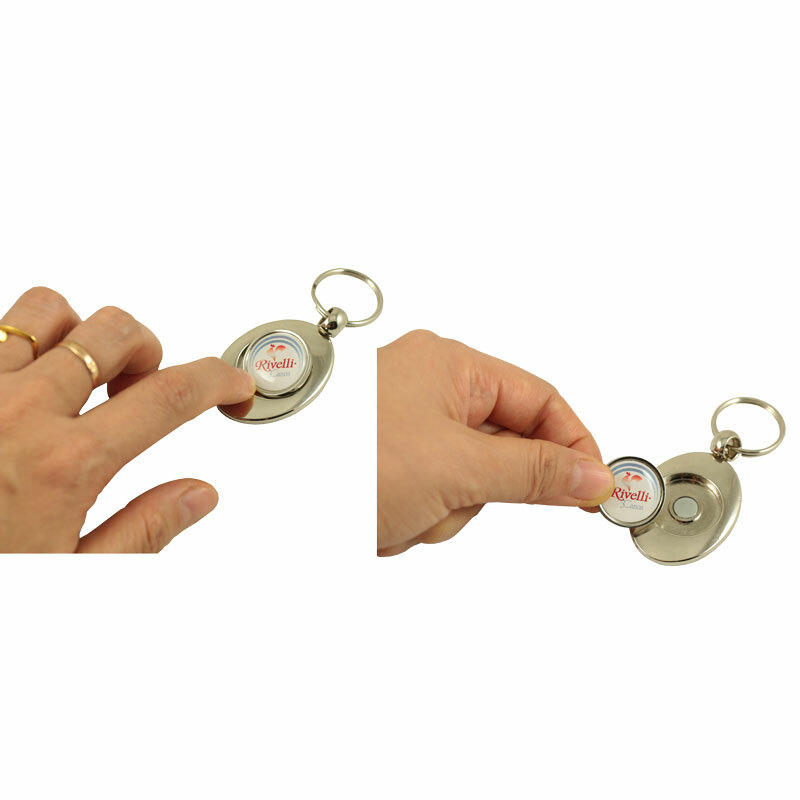 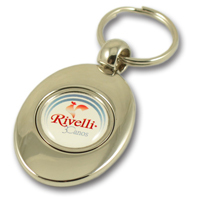 Description Luxe metal trolley coin holder keychain with swivel attachment. 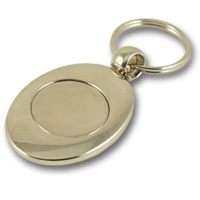 Zamac, wishbone shape, large doming front side with euro 1.00 coin size on the back side. 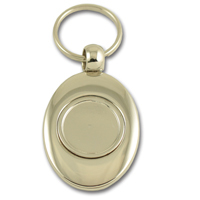 Coin:Iron stamping(#BK#BS), euro 1.00 size.